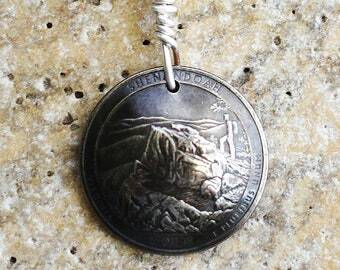 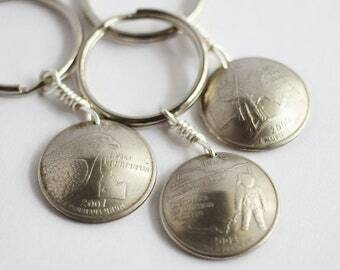 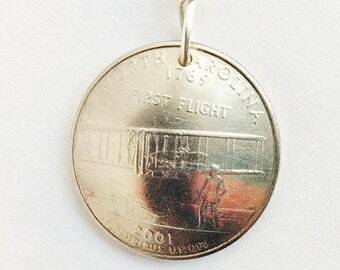 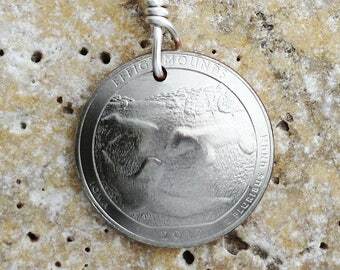 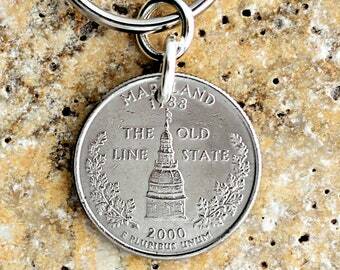 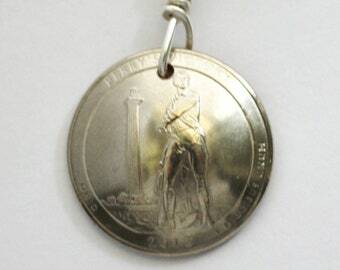 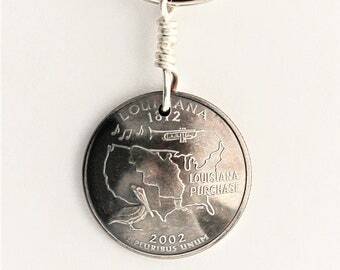 This quarter coin keychain was made from an authentic U.S State quarter dollar coin. 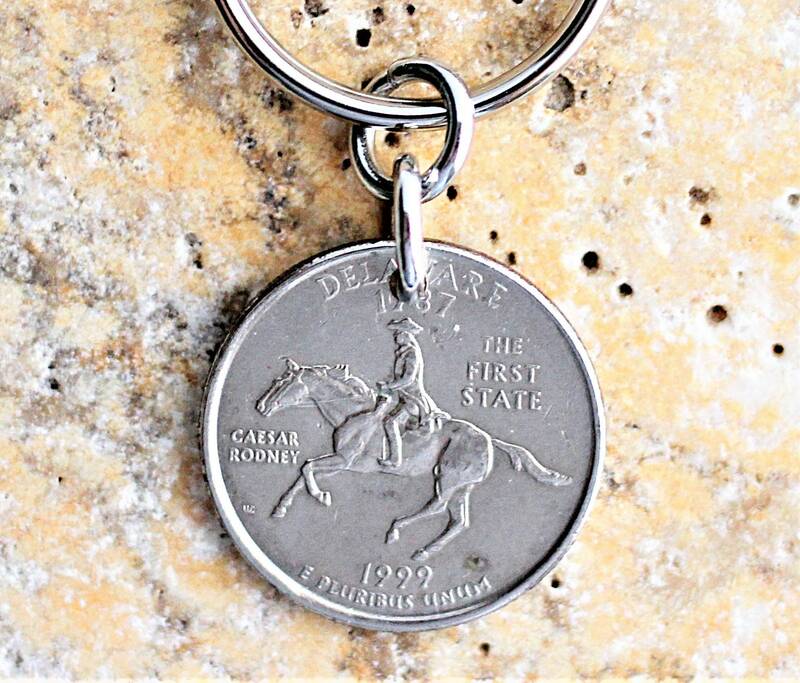 The state of Delaware is represented on this quarter, dated 1999. 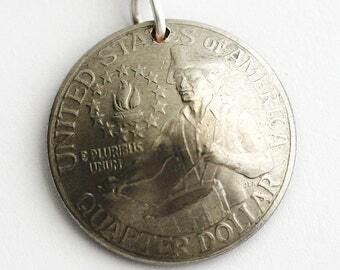 The quarter depicts the Patriot Caesar Rodney on his historic ride in 1776 to the signing of the Declaration of Independence. 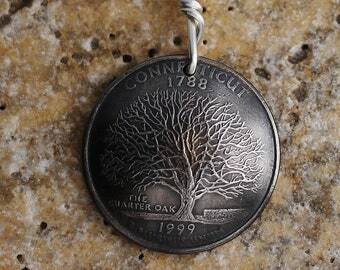 After I drilled the coin, I cleaned and polished the quarter. 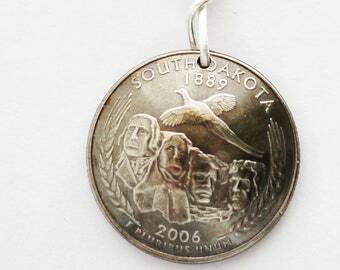 The circulated, quarter is 15/16 inch (24mm) in diameter and in excellent condition. 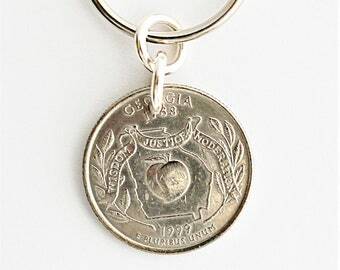 It is attached by two sturdy metal rings from a 1 inch (26mm) diameter metal key ring It hangs 1 1/4 inches (32mm) from a metal key ring. 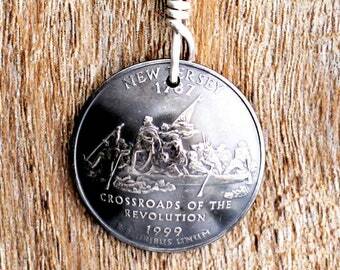 The total length is 2 inches (51mm). 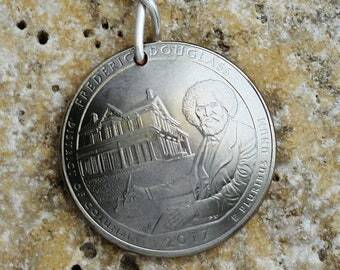 This would make a unique gift! 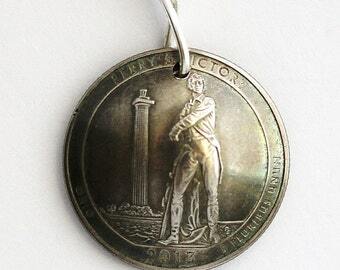 Perfect for an American history buff!